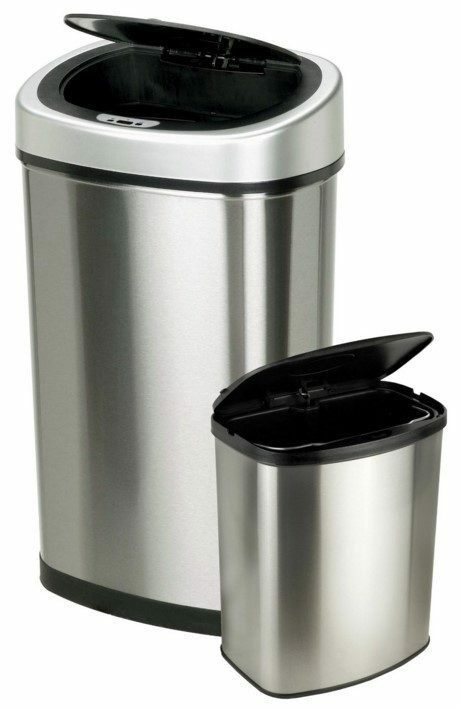 2 Touchless Automatic Motion Sensor Trash Cans Just $49.98! Down From $100! You are here: Home / Great Deals / Amazon Deals / 2 Touchless Automatic Motion Sensor Trash Cans Just $49.98! Down From $100! You can get these 2 Nine Stars Touchless Automatic Motion Sensor Trash Cans for just $49.98! Down from $100! They are 13 gallon and 2.1 gallon sizes. The same set is $78 at Walmart!